Why would I need self storage in Cary, NC? There are a variety of reasons why you might need self-storage in Cary, NC. How much is a storage unit in Cary, NC? The cheapest storage unit in Cary, NC is $22.00 per month. What size storage units do you have available in Cary, NC? In Cary, NC we have sizes that range from 3'x4' to 12'x35' to suit your storage needs. How much is it for a 3'x4' storage unit in Cary, NC? The cheapest 3'x4' storage unit in Cary, NC is $32.00 per month. Cary, North Carolina, is a growing town nestled in the center of North Carolina's Research Triangle. Anchored by Duke University, N.C. State University and the University of North Carolina at Chapel Hill, the Research Triangle area is a prime destination for business and technology companies. Research Triangle Park, just minutes from Cary, is an epicenter for professionals in the area. Cary offers a variety of recreational activities and spaces, including over 70 miles of greenways. You can experience outdoor concerts at the Koka Booth Amphitheatre, sporting events at the USA Baseball National Training Complex, and cultural highlights at the Cary Heritage Museum and Page-Walker Arts and History Center. With its friendly community, low crime and convenient location, Cary is consistently named among the best places to live in the country. The city's cost of living is predictably high for such a coveted destination, with housing prices far above the national average. However, its unemployment rate is far lower than the national average, providing plenty of jobs in a range of industries. The largest employers in Cary include SAS Institute Inc., MetLife, DB Global Technologies, HCL America, Verizon Wireless and Affiliated Computer Services. 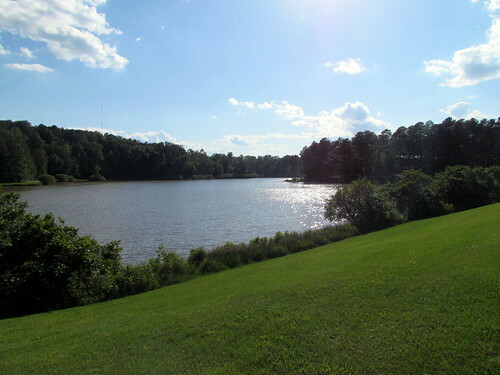 Cary is home to a variety of parks and green spaces, including Hemlock Bluffs Nature Preserve and Fred G. Bond Metropolitan Park, popular for its jogging and biking trails. The town also hosts a number of annual cultural events celebrating its diverse population, like the Cary Diwali Celebration and the Ritmo Latino Music, Art and Dance Festival. The Wake County School District manages the public schools in Cary, including elementary, middle and high schools. You can also enroll your children in one of the many private schools in the area, with both secular and faith-based options available. If you're interested in pursuing higher education, you can receive a two-year degree in a variety of fields at Wake Technical Community College. Utilities: The Town of Cary provides both water and sewer services, and Duke Power manages electricity in the area. Garbage and Recycling: The Town of Cary provides weekly pickup of trash, and recyclables are collected twice a month. Transportation: The GoCary program facilitates public transit options in the town, including several bus routes. Door-to-door transportation services are provided for seniors and those with disabilities. Pets: All cats and dogs older than four months of age must be registered and tagged. The median home price in Cary is higher than the national average, while the cost of rent is significantly lower. 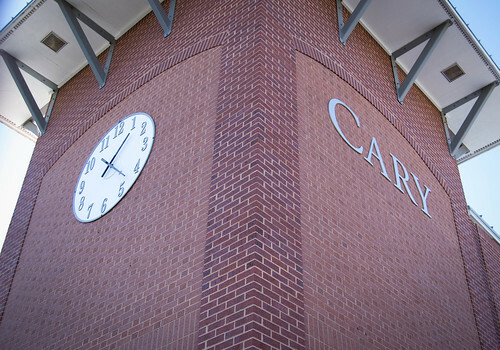 Cary offers a variety of housing options, ranging from single-family homes to large, multifamily apartment communities. Our lowest priced units in Cary, NC average $40.50 per month. 490 people have reserved units in Cary, NC in the past 30 days. There are 8 locations within Cary, NC's city limits. There are 7 locations in Cary, NC that offer AC and Heating features.